You can easily achieve tan and glowing skin without baking yourself in the sun or tanning bed, believe it or not. 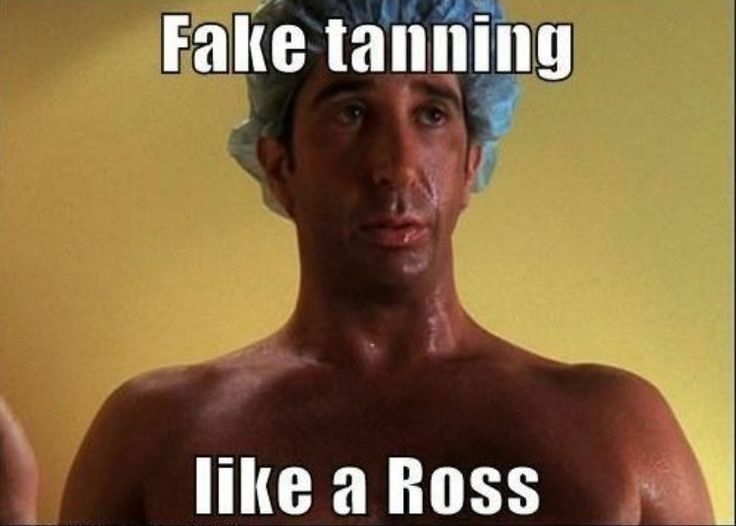 Though many people stray away from self tanning products because they are scared of harsh lines or looking orange (like Ross). However, there are products out there that will make you never want to step in a tanning bed again! 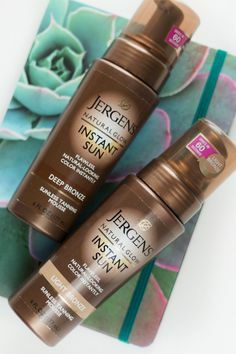 For the lower price range, Jergens Natural Glow Instant Sun Mousse ($12) is an instant tanning mousse that creates a deep natural tan within minutes. The product is tinted so you can see directly where you are applying it and what spots you might need to go over; no mistakes here! If you feel like splurging, St. Tropez Tanning Mousse ($45) and Loving Tan 2 HR Express self tan ($40) is a mousse with an instant tan color and flawless glow. But, Loving Tan is known for its unique formula that makes the tan natural and gradually darken so you’ll have everyone fooled thinking that you came from the beach! Here’s the deal breaker with self tanning, use a mitt! You can order a pack on Amazon for a couple of dollars and reuse them several times before throwing them out! A mitt is so crucial to your self tanning routine because it prevents orange hands and applies the product evenly, making your skin look as flawless as ever. As well as a mitt, exfoliating before applying any self tanning product will get rid of dry/dead skin and leave a smooth canvas for application to avoid streaks or harsh lines.